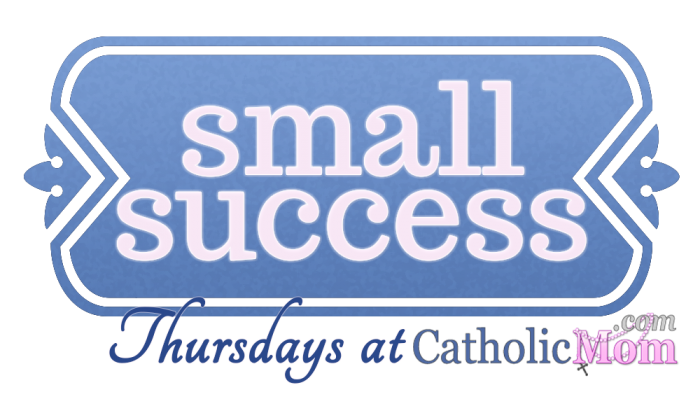 Welcome back to the CatholicMom.com weekly Small Success Thursday! This is our chance to lift each other up and celebrate the successes we’ve had this week – no matter how small they might seem. 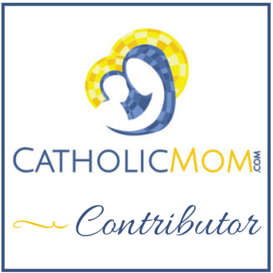 Join in on the CatholicMom.com site, or leave a comment here if you don’t have a blog to use in the link-up. Three is a nice number of successes to share, but you don’t have to have three. This past week, I’ve managed to get all of my laundry finished. This is great, because now I can switch out my Summer clothes for my Fall and Winter ones. I always feel like this will never get done, especially as our lives get busier and busier. I managed to call the doctor and set up appointments for both girls to get their physicals (this morning), then I called to get the dishwasher repaired (again), which happens next Monday, and I also set up my annual mammogram, which I should have done in September, but we went on vacation and I kept forgetting to call when we got home. I’ve managed to have a good Dominican week! I have attended Daily Mass several times, said Morning Prayers nearly every day (I just realized I forgot this morning), and Evening Prayers every day. I’ve also said a Rosary almost every day and prayed for all deceased members of the Dominican Family. I’m still not as consistent as I ought to be, but I am definitely improving. How about you? Chime in below, or blog about it and leave a link at the link-up! Let’s all celebrate each other’s successes! Dominican prayer power! All laundry being done is a success. I am still battling this stomach bug today, so I have two clean baskets of laundry sitting on our bed. I am waiting for the laundry gnomes to put the clothes away. So many people have their laundry done… I need to get cracking on mine! I consider that a whopping success! And hooray for your #3.